La Celia is a 12-story, 123-unit affordable cooperative housing project. Units have been sold to individuals and families across a broad spectrum of incomes that range from 80% to 130% of the area median income. Located at 64 East 111th Street in the East Harlem section of Manhattan, the building consists of approximately 140,000 square feet of floor area. Included within the building is a parking garage, gym, community room and terrace. Construction was completed in Fall 2012. 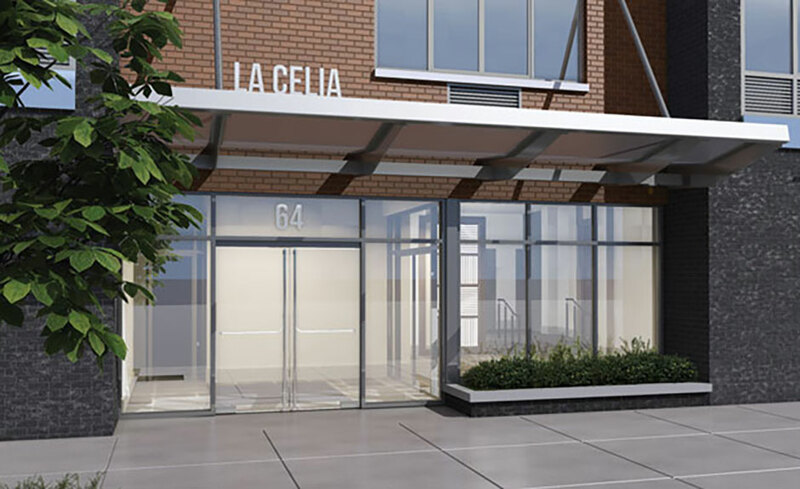 The sales office at La Celia, a new 123-unit middle-income cooperative development located at 64 East 111th Street is officially open.